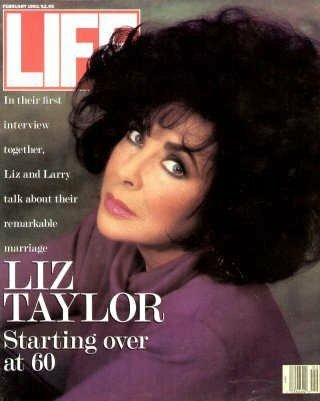 Magazine Cover. . Wallpaper and background images in the Elizabeth Taylor club tagged: elizabeth taylor elizabeth movie hollywood actress icon legend magazine cover. This Elizabeth Taylor fan art contains picha, headshot, closeup, anime, comic kitabu, manga, cartoon, and mkono. There might also be gazeti, karatasi, magazine, tabloid, rag, jarida, tabloidi, and limemalizwa.